I don’t think I’ve ever seen so much rain in my life. Over the past few weeks, the rain has become less a topic of idle chit chat and more a state of being. The ground is just soaked, streams of water carving out dark, muddy pathways which only lead to more water. Big, fat, juicy raindrops fall so quickly they turn roads into rivers in a flash, making me very thankful for my SUV. I’d say it feels like Seattle here, but someone told me that the rainfall in Georgia this month has far surpassed the yearly rainfall numbers in Seattle. Whoa. In its wake, the rain has left folks crabby, lethargic, powerless, firework-less, blue, and WET. Trees are keeling over left and right- their roots atrophied from previous drought, unable to hold onto the mushy earth any longer. And strange mushrooms are popping up everywhere! Jackson Lowe Vegetable Farm has experienced more devastation than ever before from all of the rain. The vast majority of their seeds and transplants for summer crops were washed out repeatedly, forcing them to discontinue CSA services to over half of their members. 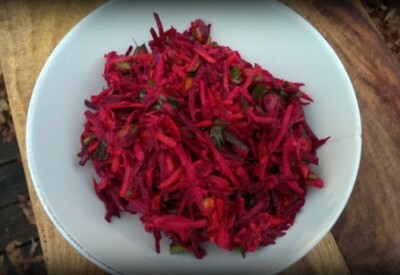 And with that, I will no longer be writing recipes for them or utilizing their beautiful ingredients after next week. It is a sad and unusual time. I’ve noticed the grocery stores taking a hit too- waiting days for green beans that should be coming out our ears at this point. 1. 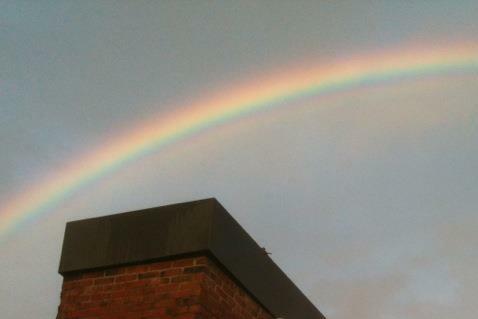 Rainbows. During rare breaks between downpours, the sun tries to peak out while it’s still raining and we get to see the magic of rainbows. 2. Cute boots. 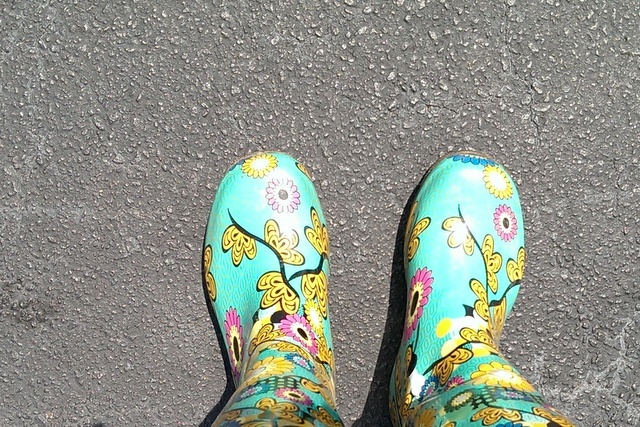 I’m real glad my mama sent me some colorful rain boots last year, since they’ve provided little spots of happiness during all this mess. 3. Local markets. Atlanta still has a huge network of farmers who are harvesting beautiful summer fruits and vegetables and braving the rain to sell them. 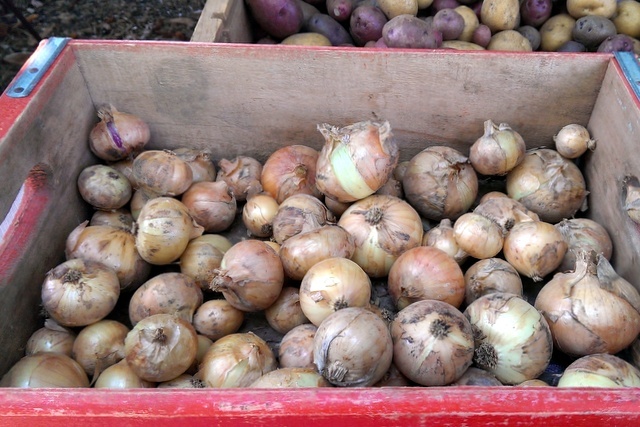 We are lucky to have fresh, local produce available nearly every day of the week in our town. Cheers to that! 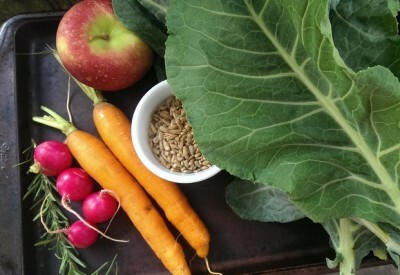 So, while my house shakes from the angry thunder, and my poor dog vacillates between trembling on the porch and pacing around the living room, I’ll share a delicious and simple meal that may brighten your day. I understand that this idea of “Zoodles” isn’t new. It’s all over the web and Pinterest. But, somehow, Adam and I had overlooked this method of cooking squash week after squash-filled summertime week. Until now. 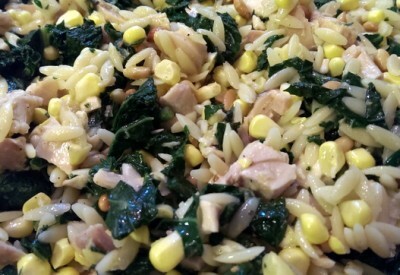 If you’ve never zoodled either, get ready to become a big fan of this buttery, uber-fresh dish. We have local basil this week, so we started by making a little basil oil! Simply warm oil over medium low heat until it just reaches 120°. Then, add your basil, remove the pot from the heat and let it hang out. The basil infuses the oil pretty quickly. Let it sit for at least 20 minutes. 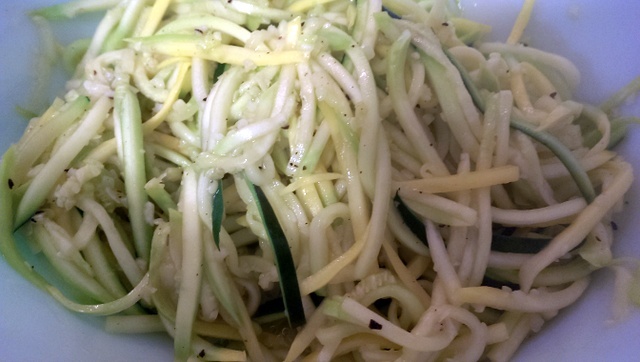 Fresh summer squash and/ or zucchini, rinsed and dried well- as much as you like really. We used all 6 of the ones above, and that was enough for two dinner portions and a lunch portion. 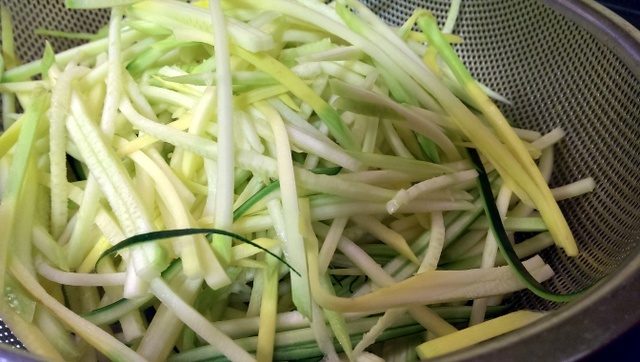 Use a mandolin with the Julienne attachment very carefully to cut your squash and zucchini into thin strips. If you don’t have a mandolin, you can cut the squash into long thin planks and then slice those planks into strips. 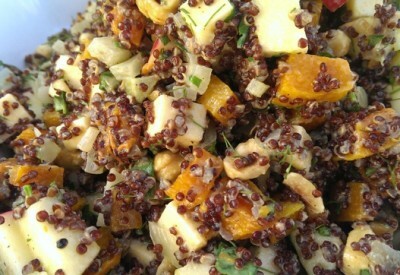 Place the sliced squash in a colander, and sprinkle lightly with salt. Toss and let it sit for about 20 or 30 minutes. 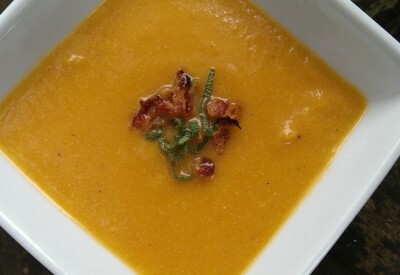 This will draw out some of the liquid from the squash. salt and pepper- enough to season 4 chicken burger patties on both sides. I did 6 good pinches. About 1 Cup Quinoa flour to roll the meatballs in. You can use regular flour if you like. 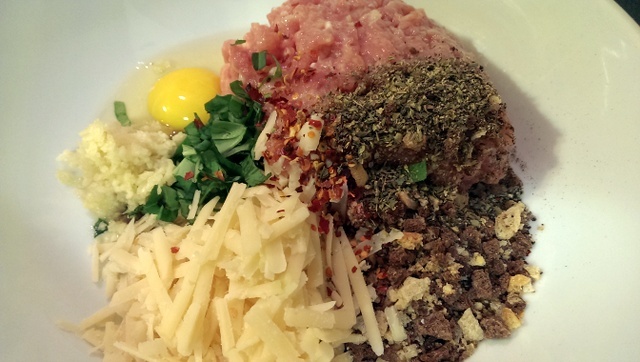 Place all meatball ingredients in a big bowl. I started with 2 handfuls of breadcrumbs. You want enough bread to help bind the meatballs, but not too much, so the meatballs don’t become dry. Mix all of the ingredients together without over-working the mixture. Heat a pan with a layer of canola oil in the bottom to medium heat. Then, roll up a “tester” meatball. We made ours about the size of a golf ball. 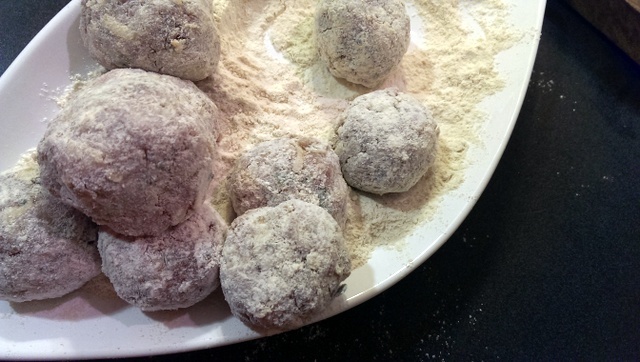 If your ball seems to be staying together well and maintaining a circular shape, go ahead and roll it in a little flour and get it into your hot pan. 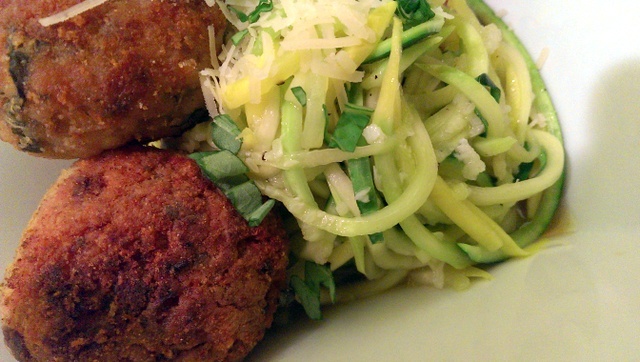 If your meatball seems too loose, add a bit more breadcrumbs to the mix and then try again. Shake off any excess flour before placing the meatball in the pan. 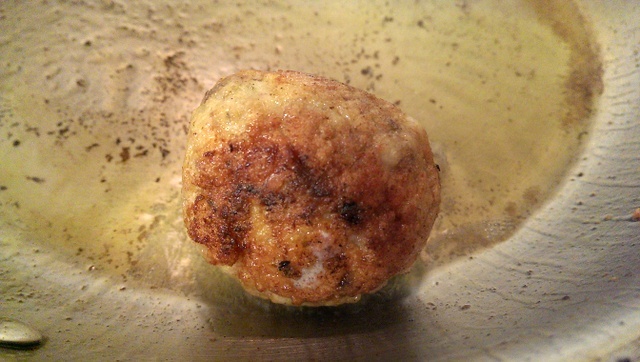 Cook your tester meatball, turning as it browns, until the middle reaches 165°. Then, let it cool a few seconds and take your pan off the heat. Taste your tester! Assess your work. Did it stay together well? If not, add more breading to your meat mixture. All breadcrumbs are a little bit different, so you may have to adjust. No worries. Is it too dry? If so, you can add a splash of milk or an egg yolk. Not enough seasoning? Add more salt and pepper. 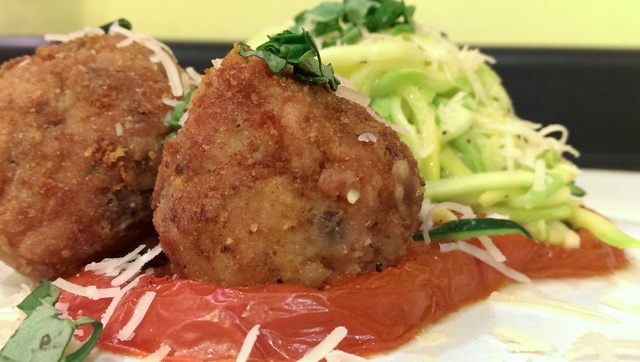 Miraculously, our tester meatball was just right. But, I’d rather have the opportunity to tweak the batch before I roll them all up than to find myself with a whole batch of underseasoned meatballs. 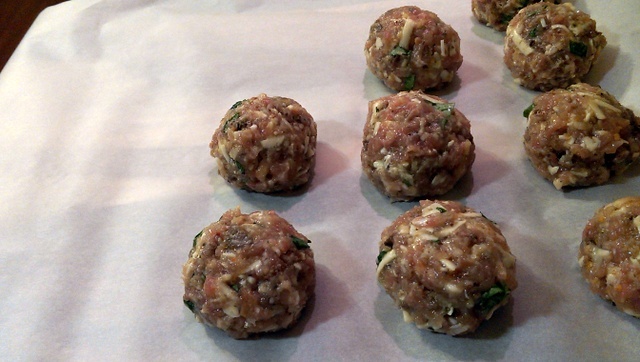 Once you’ve done the troubleshooting, roll up the rest of the meatballs. and toss them in Quinoa flour. Quinoa browns and turns crunchy in a pan when made into patties, so it works well in flour form to bring a crispness to the crust of the meatballs. 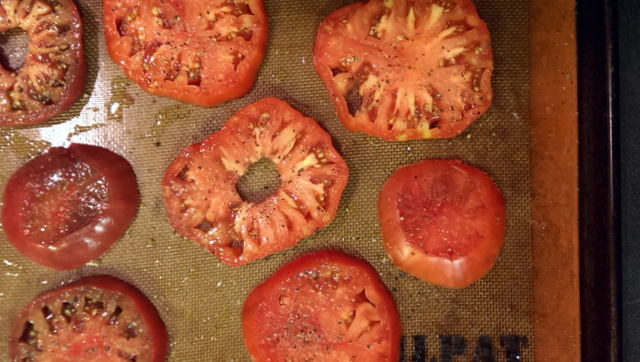 Place your tomato slices on a Silpat Mat or just drizzle a sheet with olive oil. You could use parchment paper here too. 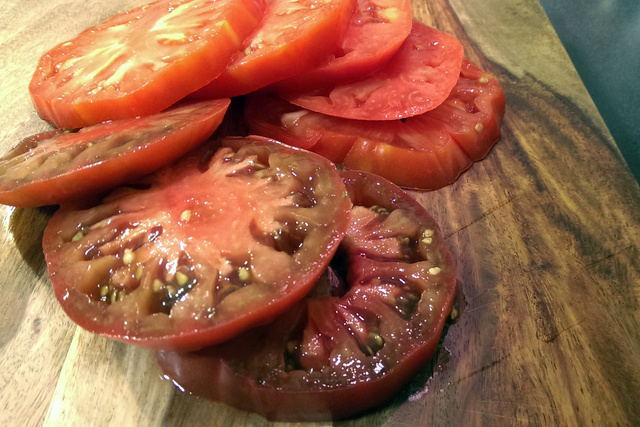 Drizzle your tomatoes with olive oil and season them on both sides with salt and pepper. Roast 10 – 15 minutes. Be careful, as they will be a little fragile. 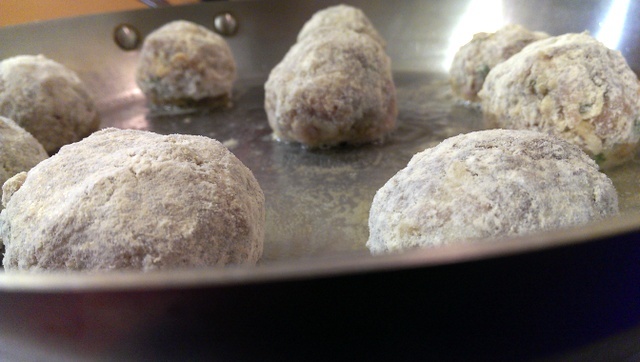 and turn the meatballs as they brown, allowing the flour time to crisp up around the outside. As each meatball reaches the safety zone of 165° in the middle, remove it to a paper towel lined plate and let the whole lot of them rest. 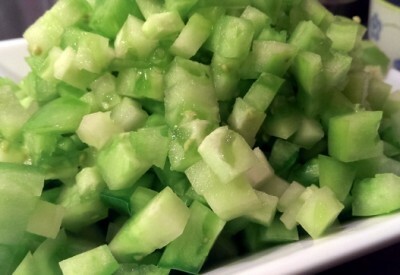 Now, time to quickly cook up those zoodles! 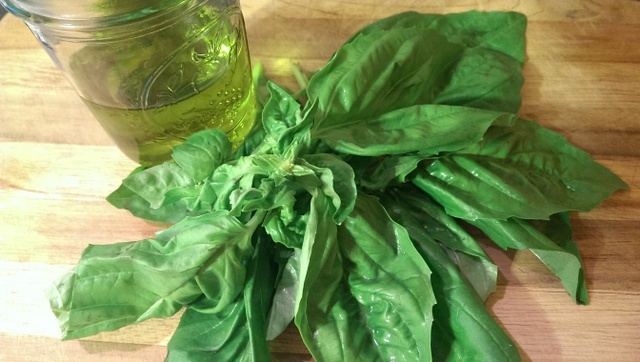 Pull the basil leaves out of the infused oil and transfer your basil oil (YUM) to a squeeze bottle or jar for easy pouring. 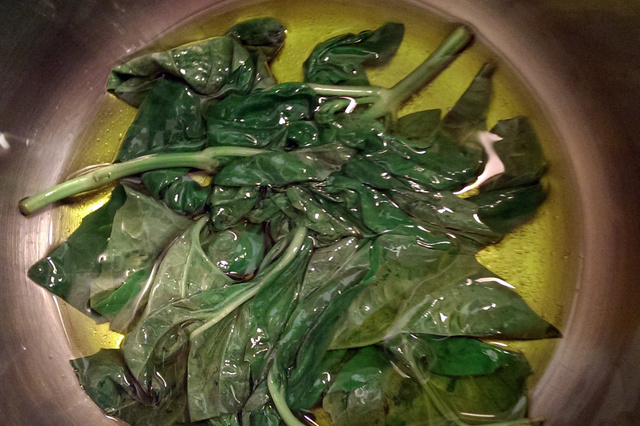 Add about 1 T basil oil to a medium sized pan or rounded pot and heat to medium. Place half of the zoodles into the pot when heated. Give the squash a toss and sprinkle with salt and pepper. 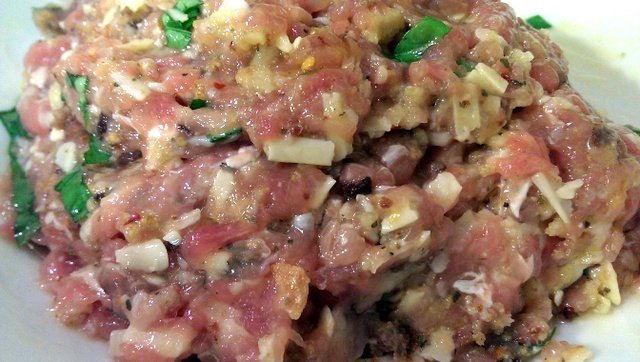 Then, add 2 cloves of minced garlic. Use tongs to toss the squash and pay attention to their structure. Just when the strands begin to bend like spaghetti, they are finished cooking. This literally only takes a minute and a half to two minutes. Taste one to be sure it’s crisp-tender and well-seasoned. 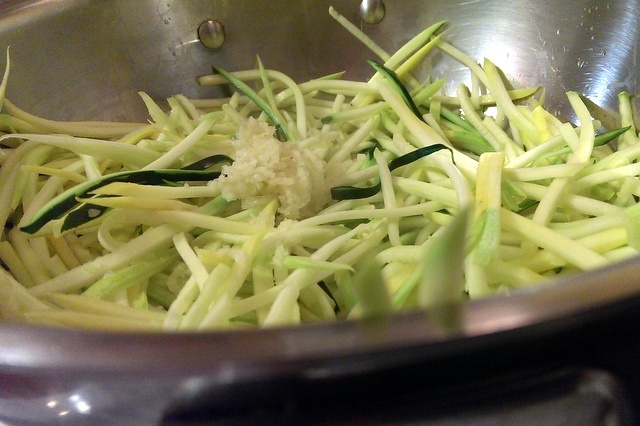 Once the squash is tender, remove the zoodles to a bowl and repeat with the second half. Sprinkle with some freshly torn basil, and toss. If you want to, you can add a squeeze of lemon juice to the squash. We decided that the flavor was amazing without the lemon juice. 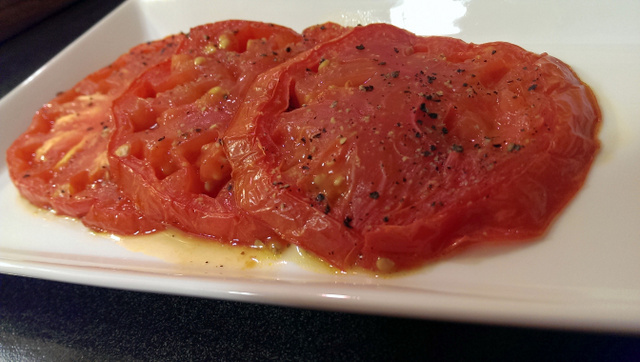 Lay a few of your roasted tomatoes onto your plates. 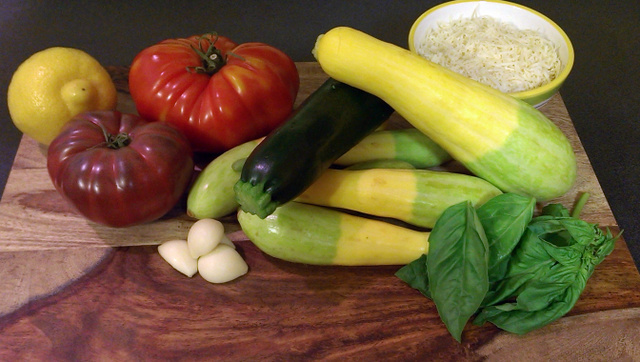 Top with a lovely heap of your squash and zucchini noodles. 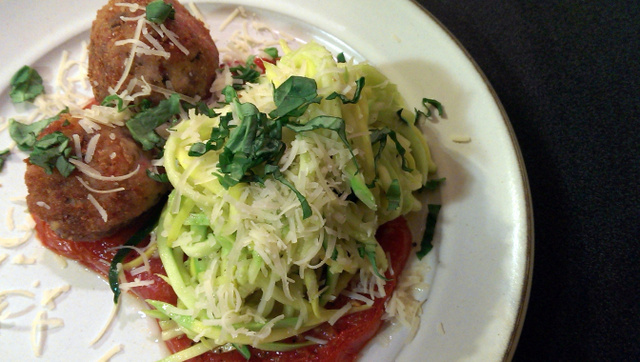 Add a few chicken meatballs and top with shredded cheese and more fresh basil. Man, have we been missing the boat!?! 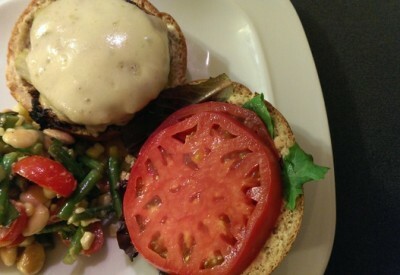 This meal was easy and insanely delicious. It tasted so incredibly fresh and exciting. 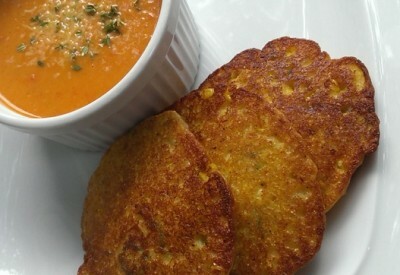 The roasty sweetness of the tomatoes was wonderful paired with the crisp, buttery, silkiness of the squash. 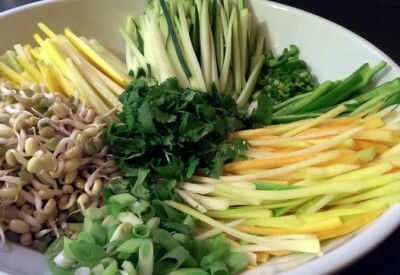 I loved everything about the texture and moisture of the “noodles” themselves. 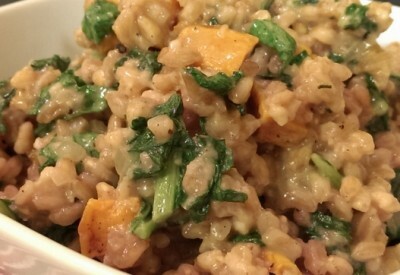 The basil flavor was right in the forefront, connecting each component of the dish. And the Asiago cheese was bold and pungent without overpowering any of the more subtle elements. The meatballs were outstanding!! 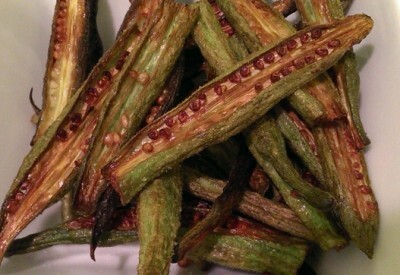 Slightly crunchy on the outside, soft and luscious on the inside. 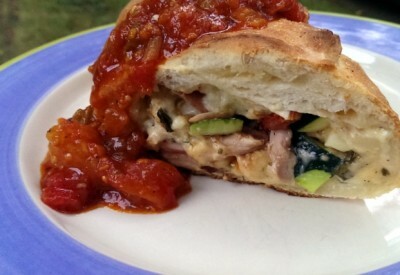 Full of robust flavors and a little kick from the red pepper flakes. All together it was super summertime treat that was good for my body. I could eat this meal again and again. I didn’t miss the “real” pasta one bit. 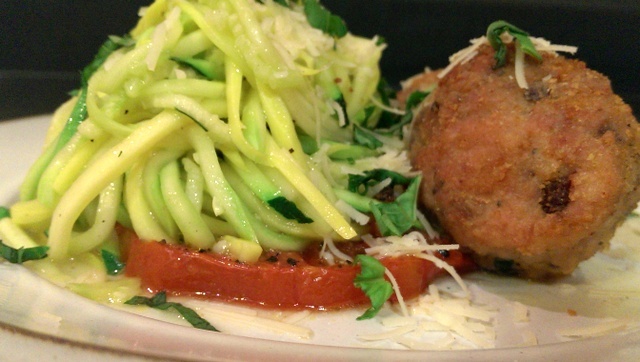 How could you make this dish your own? Toss the zoodles in any kind of pesto you like. 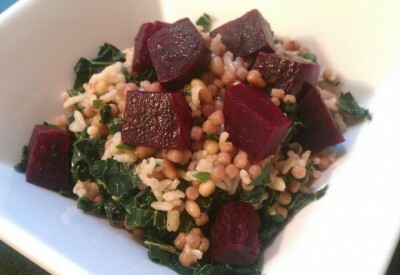 Skip the meat and make it a totally vegetarian dish. 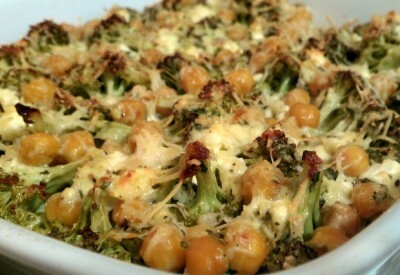 Maybe add some white beans or pine nuts for protein. 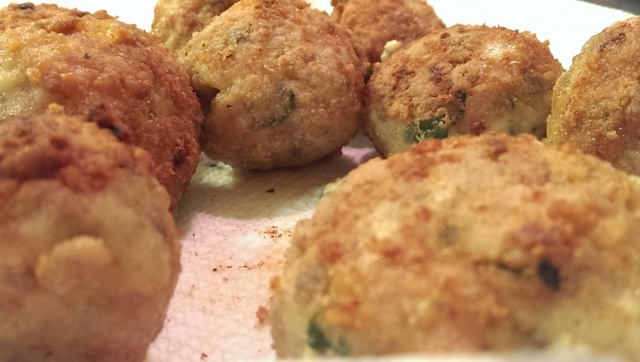 Serve it with shrimp, steak, or sausage instead of making meatballs. 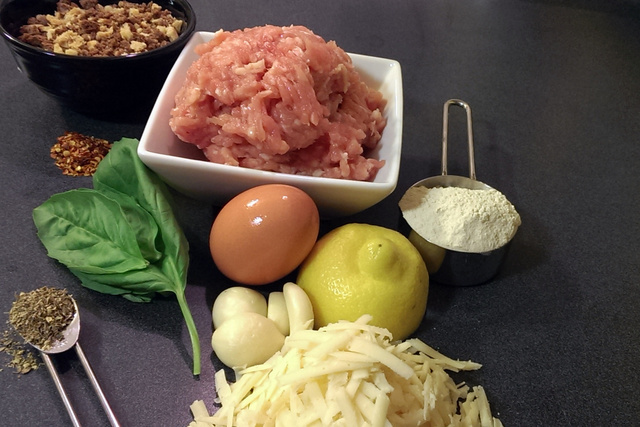 Make your meatballs gluten-free! 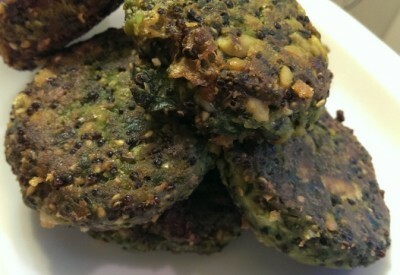 Use pistachio meal and quinoa flour as your binders. Chop fresh tomatoes or make a simple tomato sauce to coat the zasta. Add mushrooms or feta to the plate. 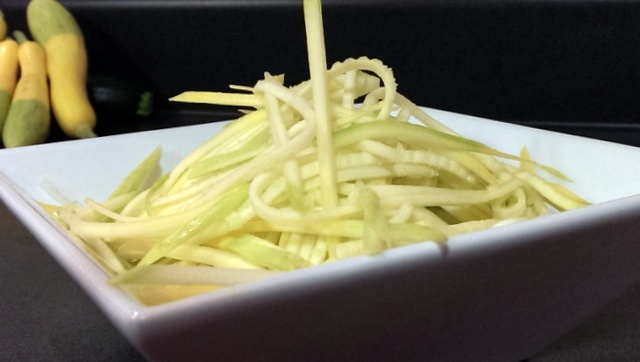 Serve the squash noodles cold- like a zasta salad! 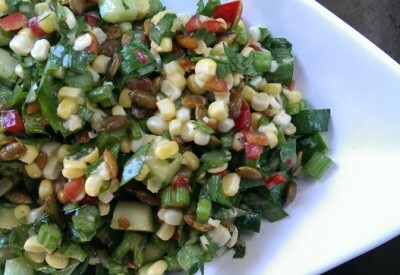 Or make it an Asian salad with sesame seeds, cilantro, and ginger. Mmm. Ooooh, make it into a Carbonara with an egg stirred in at the last moment. So many ways you could spin it! 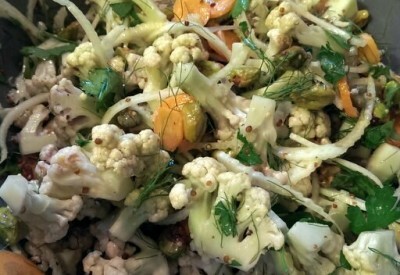 I hope that you’ll try this fantastically tasty and easy way to enjoy your summer zucchini and squash. 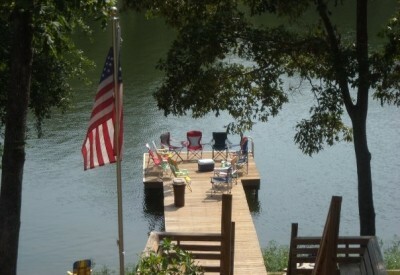 I have a feeling it won’t be long before Adam and I go this route again. 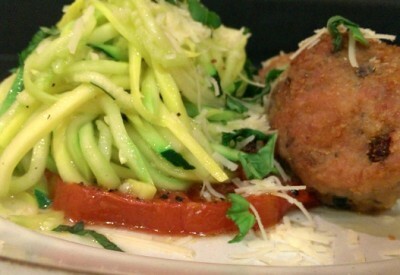 I mean, you don’t even have to boil water to cook these zoodles!!! Brilliant. Love it when I learn something new. 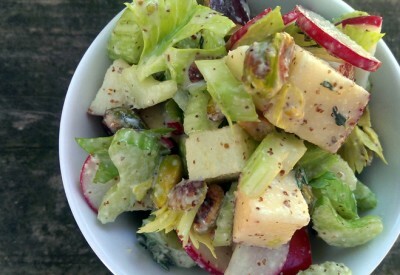 I hope you’ve got a couple new tricks up your sleeve for utilizing your summer veggies this year too. Teach me one! I dare you! Stay dry out there, my friends. And get you some cute boots, for real. It helps. Do you use Japanese rice? Raw rice or cooked? I have seen ripeces for Albondigas before but you are the first person I could ask the Japanese rice? question too! I love a good one-pot meal! Hi there, Tuan. I’ve never used “Japanese” rice before. But, now I’ll keep my eyes peeled for it! Thanks!